I learned Focusing in 1972 from Eugene Gendlin, and have been teaching Focusing since 1980. I've dedicated my life to finding ways of teaching this empowering skill that are accessible to anyone who wants to learn. I'm a full-time Focusing teacher, and I've had the pleasure of working with groups all over the world. 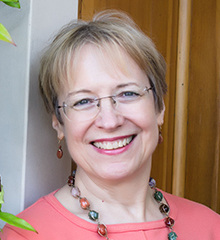 I'm excited about my new program of teaching telephone classes, as well as my weekend workshop series in California and the Treasure Maps to the Soul retreats that I offer with Barbara McGavin. Focusing is a radical departure from the usual ways we operate in our culture. When you learn Focusing, you learn to BE WITH your own sensations and feelings, and you discover that they have communications for you. You learn to turn toward what you are feeling with interested curiosity, rather than being caught up in feelings and acting out of them. You find out how to include and accept all sorts of inner experiences, with no need to take sides in an inner war that labels some part of you as 'bad'. The Power of Focusing. 1996. New Harbinger Publications, Oakland, CA.